Leaving the train and taking the tram to my hostel, Hiroshima first gives you a feeling of modernity and beauty. They rebuilt it with skill. 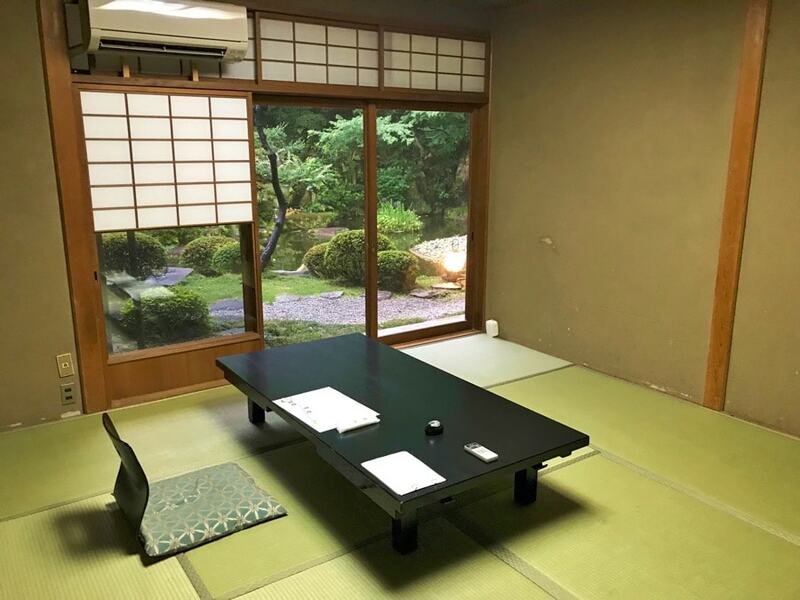 For the first time in this trip, the hostel where I stayed proved to be a social experience. A few friendly people were around for high quality conversations at breakfast and in the evenings. Top notch. The first day of sightseeing was something entirely different. 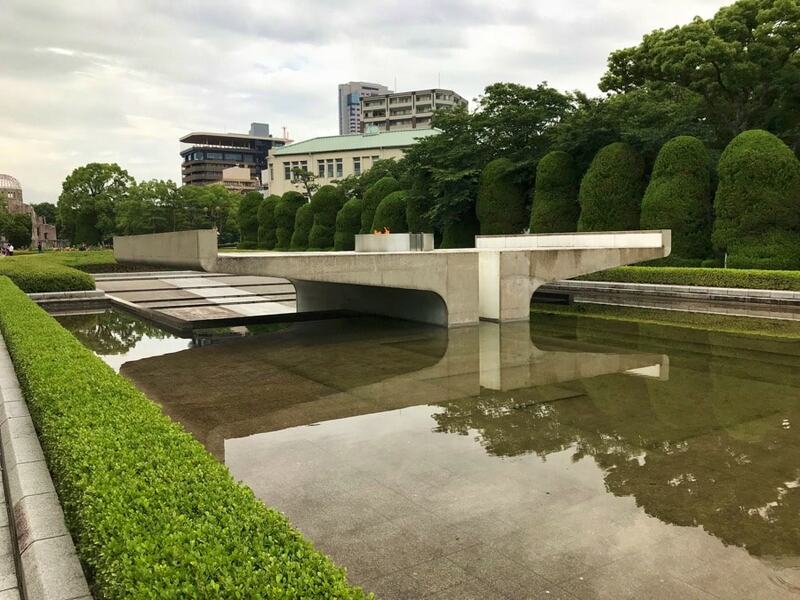 My first stop was the Hiroshima Peace Memorial and its museum. The memorial itself somehow finds a way to make you feel peaceful. The centrepiece is a flame that the Japanese have pledged to keep alive until nuclear weapons are abolished. It may never die. 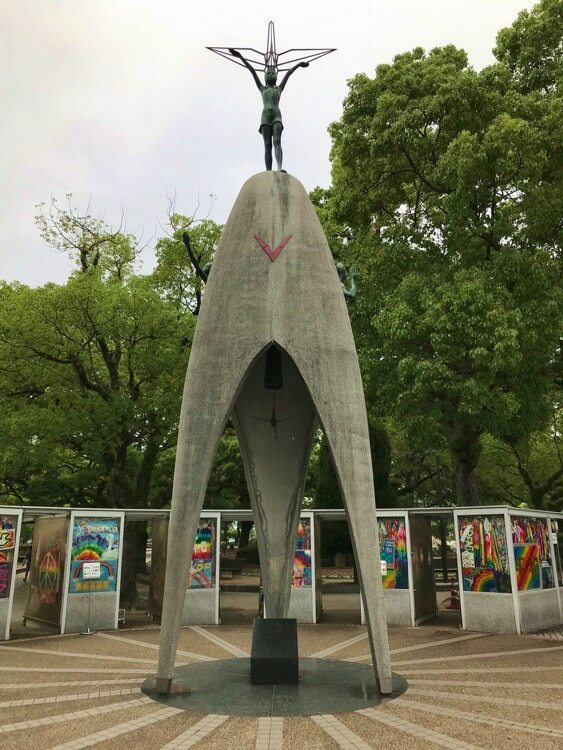 When I went there in the morning, a large group children performed a ceremony at the Children’s Peace Monument to honour the memory of Sadako Sasaki, one of the numerous kids who were killed by the atomic bombed dropped by the United States in August 1945. It was a pretty, touching ceremony. They sang and performed other rituals for the spirit of the dead. More on Sadako later. The Peace Memorial Museum itself starts with complete information about the bomb dropped in 1945, some of it provided by the Americans themselves. From the war’s background to the most detailed personal stories of people who died, everything is covered. All instructive. In that first exhibit, you are also reminded that factions within the American side pressured Harry Truman and his bunch to showcase the bomb to the Japanese without sacrificing tens of thousands of civilian lives. Others wanted to issue a specific warning about their new weapon and its far more devastating effects. Yet, they chose to use the bomb to maim and kill without further considration. With that reminder, you head to the final section of the museum and the cruelty of nuclear bombing punches you in the face repeatedly. You read the personal stories of innocent children killed. You learn what were the last words they said before dying. You see photos of their burned bodies. Their burned clothes and belongings are right in front of you. Two childrens’ stories floored me. The first was Shinichi Tetsutani, who was not even four years old. 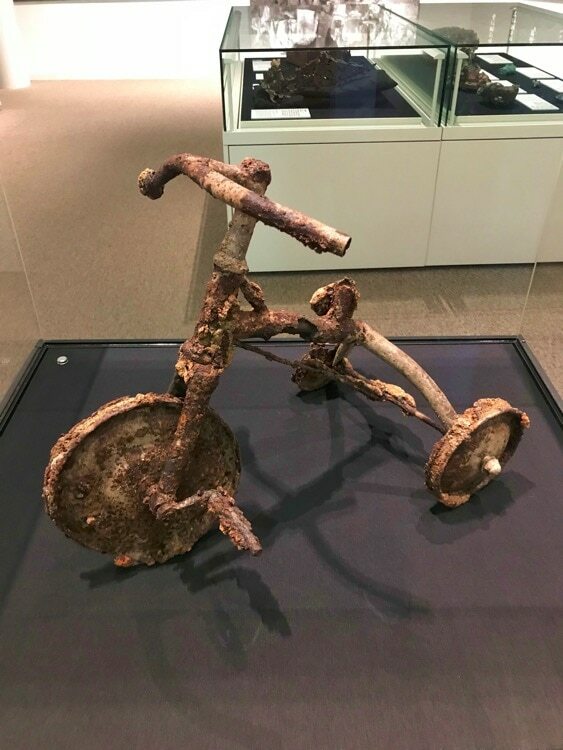 He was riding this tricycle when the bomb hit Hiroshima early in the morning. He died the following evening. His father kept him buried for 40 years with his tricycle, alongside his two sisters, who died because of the bombing. Only after that did they get a proper burial. Someone was on that bike when it burned, and burned with it. The second story is that of Sadako Sasaki. She was two years old when the Americans went nuclear on Hiroshima. Her life seemed normal until 1955, when she was 12. She was diagnosed with leukemia. Someone told her that if she could use origami to fold 1000 paper cranes, she would get well. She made it to 644 cranes, through the pain, before dying. The photo of Sadako at her funeral was too much. It would have taken 15 more minutes to finish the museum’s exhibits, but I couldn’t take it anymore. I headed straight to the exit and sat on a bench for half an hour in a depressed state. Yep, it hits that hard. 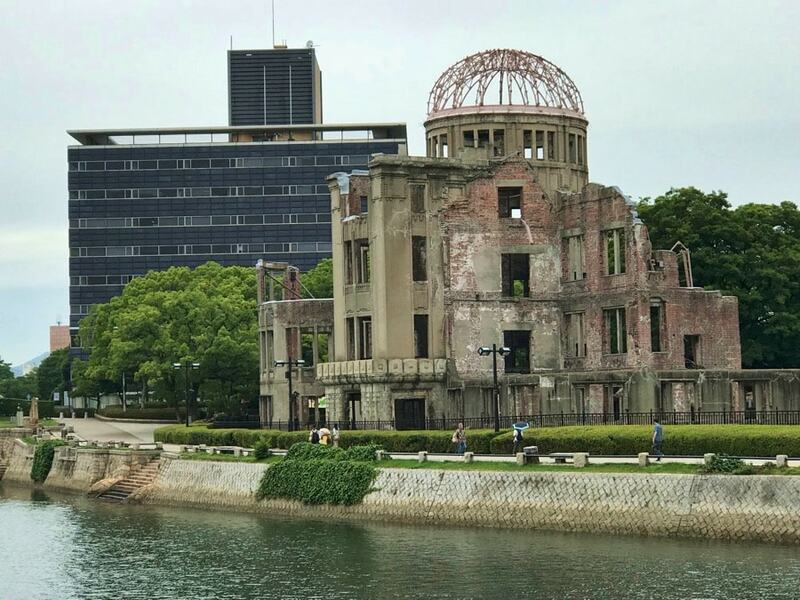 As a reminder of the destruction, the authorities have left the Atomic Bomb Dome standing. They even retrofitted the building to protect it against earthquakes. Enough depressive sights. 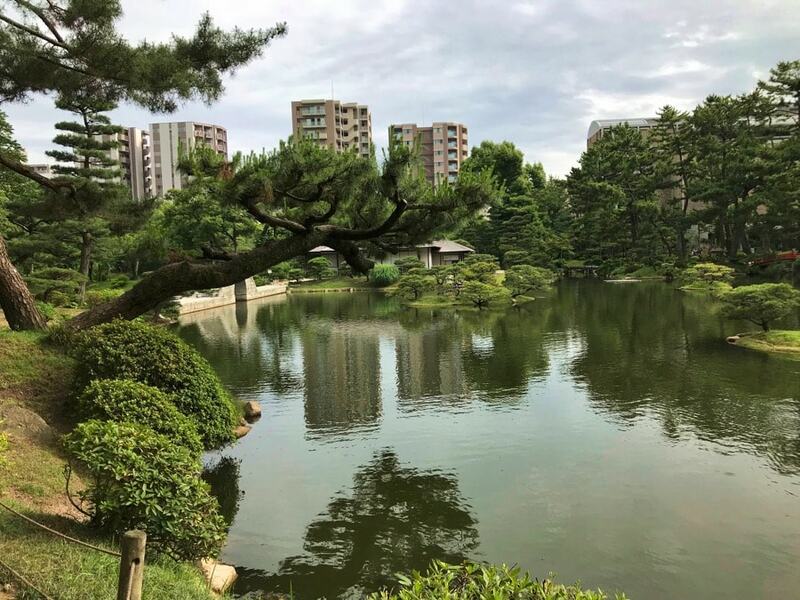 I had a good walk to the Shukkei-en garden for a much needed change of scenery. 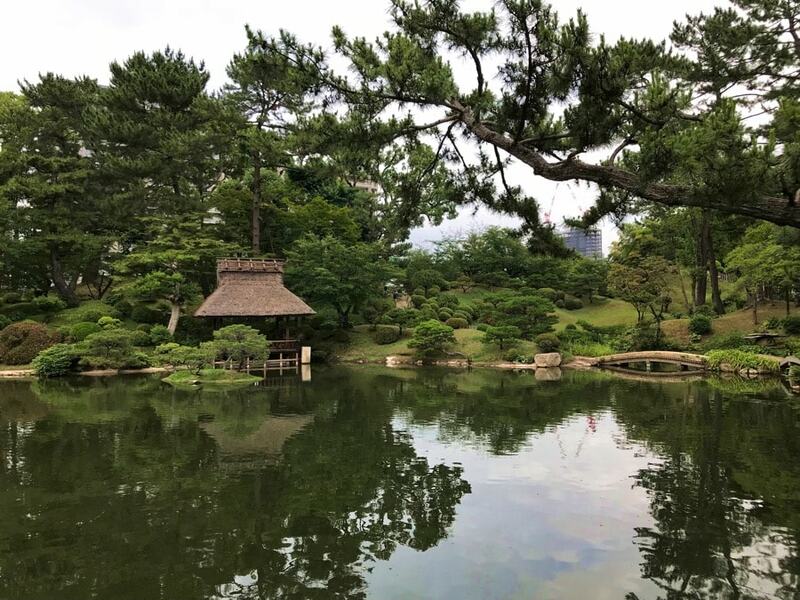 It looked as good as any garden I visited in 15 years of travel around the world. 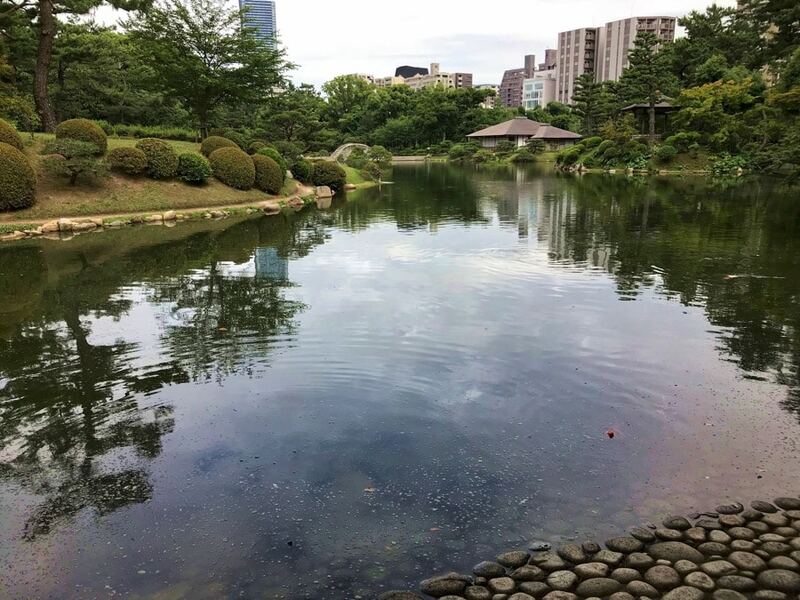 The pond reflects the trees, bushes and buildings. That evening, I found a tofu restaurant called Tosho to try something new. The experience was interesting but I can’t say that everything pleases the Western palate. 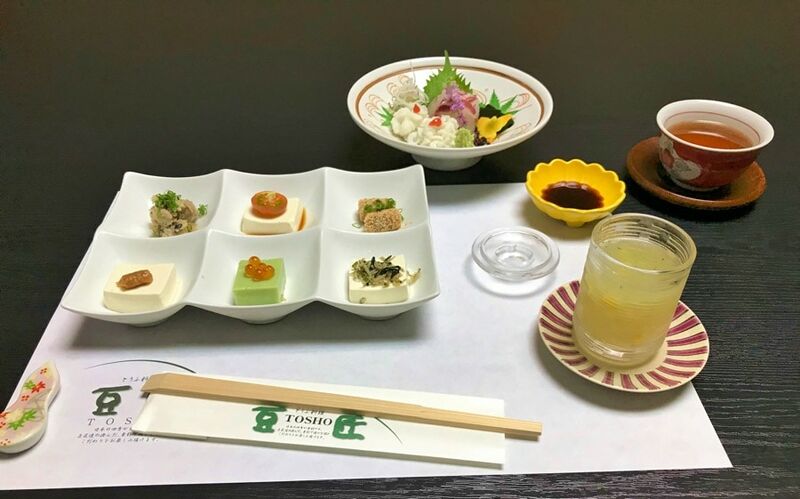 The tofu appetizers and main course are nice, and so are most of the small dishes that they serve during the meal. The soy ice cream was awesome. Take a look at the yellow soup on the picture above, though. That cold mixture tasted like a highly concentrated rotten fish mix. Two sips were enough to disgust me.